Making sound decisions under the threat of potentially deadly violence is hard, to put it mildly. 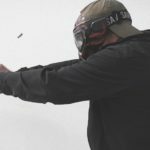 One of the most effective ways to improve this skill is through high-quality force-on-force training — especially when that training comes from an undisputed subject matter expert like Craig Douglas. 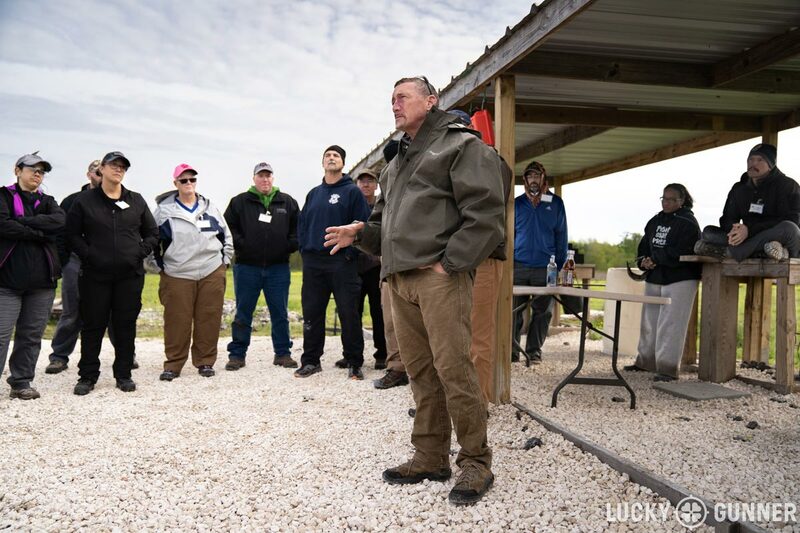 Today, I’m looking at some important lessons learned from Craig’s Experiential Learning Lab at the 2019 Rangemaster Tactical Conference. 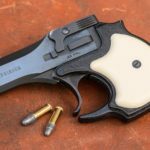 Find out some common mistakes armed citizens are likely to make when faced with hectic, rapidly-changing circumstances. Details in the video below, or scroll down to read the full transcript. A couple of weeks ago I went down to New Orleans for the annual Rangemaster Tactical Conference. This is a gathering where some of the absolute best self-defense instructors from all over the country get together to offer two and four hour mini-classes on all kinds of topics. There’s a lot of shooting instruction at the range but there’s also stuff like empty hand skills, emergency medical training, bladed weapon skills, lectures on criminal psychology, self-defense case law, a history of firearms training — there’s something for just about everybody. This was my fifth time at TacCon and it’s always one of the highlights of my year. The course lineup is a little different every time, but there’s one seminar that’s been offered every year I’ve been there and that’s the one I want to talk about today: the Experiential Learning Lab with Craig Douglas. If you don’t know who Craig Douglas is, you should really do something about that. 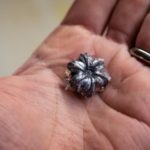 I’m not going to read off his whole resumé, but I would consider Craig one of the leaders in what I like to call the “inter-disciplinary revolution” that we’re seeing unfold in the firearms training world right now. In the 600+ hours of firearms and self-defense training I’ve taken, the classes I’ve done with Craig are easily among the most memorable and thought-provoking. I have not shared as much of what I’ve learned from these classes as I would like, mostly because it tends to be pretty dense and it’s difficult to summarize in a short video, but I’m going to try to fix that today. 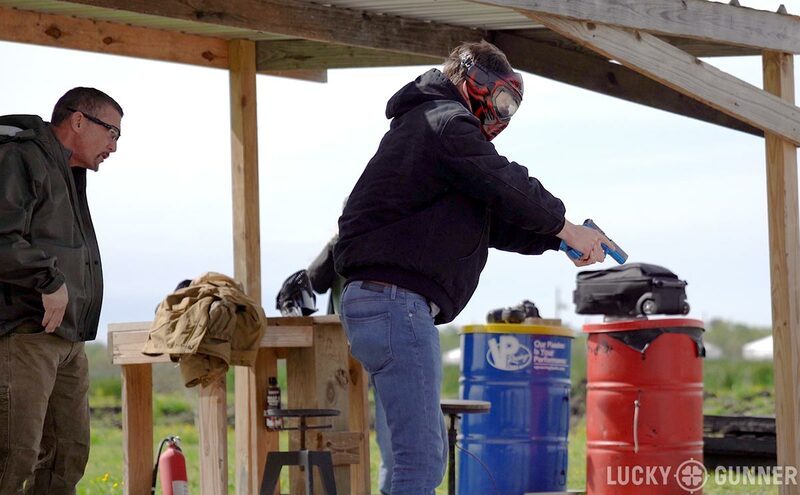 The brief description of the Experiential Learning Lab would be that it’s a force-on-force scenario exercise, but that doesn’t really do it justice because to some people that would mean grown men in 5.11 pants playing a game of paintball with blue Glocks. That’s not really what Craig does, though. It’s more about decision-making than about shooting. He starts by picking volunteers, there were 14 in this case, to go one at a time through a simple blind scenario that represents a scene out of typical everyday life. The rest of us had to just silently watch from the sidelines. There are trained role-players in the scenario with very specific instructions on what to do and how respond based on the participant’s actions. Unfortunately, I can’t describe for you the actual scenario that was used this time because Craig might want to use it again someday and that would spoil it for everyone else. In the past, it’s been things along the lines of, “you’re coming out of Walmart with your friend and you guys have to walk to your car over there.” Or, “you’re going to the ATM to get some cash, go stand in line behind those other people.” Then something disruptive happens like maybe a they get approached by an aggressive panhandler or a couple nearby gets into a nasty shouting match and the participant has to decide how to respond. Craig Douglas debriefs a student during the Experiential Learning Lab. Each volunteer is given a protective mask and a paint-pellet-firing Simunition gun to carry, but the situation may or may not require using that gun. There’s not necessarily a right or wrong way to respond and there are usually multiple ways to resolve the scenario with a more or less positive outcome. After each volunteer completes the scenario, Craig does a debrief and asks questions to help walk them through why they responded the way they did. Without giving too much away about this specific scenario, I want to share a couple of observations after watching 14 people respond in totally different ways to the same circumstances. For the people who ended up with a less than desirable outcome, it seemed like the thing that was most likely to get them into trouble was indecisiveness. In a couple of cases, it was the classic freeze response — you can see that a lot in surveillance camera footage of violent encounters. Two guys will be shooting at each other in a gas station parking lot and there’s a person just standing in the middle like they have no idea how to process what’s going on. There were a couple of moments like that, but what I saw more of was the kind of half-hearted effort at taking action; the true indecisiveness. Like, I kind of want to do A but, I might be better off if I do B. And when they actually get around to doing something, they’re still not totally committed and that can go South real quick. Decision-making under pressure is a complex topic and I don’t think it’s possible to simply will yourself to be better at it. But more often than not, committing to some course of action, even if it’s not the ideal one, is better than no decision. I can give you a personal example of this. I was going through a scenario myself last year in a class I took from Craig. I got to a point in the scenario where I was holding a threat at gunpoint, and I needed to give him some very specific commands, which is something we had practiced earlier in the day. But I couldn’t remember exactly what I was supposed to say, and, instead of just winging it, I froze for literally 10 or 15 seconds and didn’t say a thing while I was trying to remember the right words. At that point, almost anything I could have said would have been better than nothing because my silence was sending the message to that threat that I was not very confident in what I was doing. So, action beats inaction most of the time — that’s not a bad rule of thumb to fall back on if you don’t have anything else going for you. One of my favorite responses to the TacCon scenario was a woman who very decisively avoided being involved in the situation all together. That doesn’t always work out, but I think it’s important to point out that taking decisive action doesn’t always mean heroic action, sometimes it’s just about survival. Another thing that messed people up in the TacCon scenario was kind of at the opposite end of the spectrum and that’s a lack of flexibility. What I mean in this case is that people had made a decision in advance, either consciously or subconsciously, about how they would respond to certain circumstances. That’s not a bad thing in itself, but then when the situation in front of them was saying that maybe their plan was a bad idea, they still ran with it anyway. Again, I don’t want to give away the scenario, so let me give you some parallel hypotheticals. Maybe I’ve decided that if I ever find anyone in my house who doesn’t belong there, I’ll shoot him. Does that plan leave any room for positive threat identification? What if it’s my neighbor who has Alzheimer’s? Or what if my wife let in the cable guy without telling me? What if I have a teenage kid and it’s one of their friends playing a prank? Having a plan is good, but we have to be able to adapt to the circumstances and accept that however we envision a deadly force encounter happening is probably not how it’s going to actually go down. If some dude catches me off guard at the gas station and starts waving a knife in my face, maybe my best option isn’t to go for my gun, but just hand him my keys because no matter how fast I can draw, I’m still probably going to get stabbed in the face. But if I comply and, instead of driving away in my car, he tells me to get in the trunk, at that point, my odds of survival probably go way up if I fight back. If my only planned response to a deadly threat is to shoot them before they can get me, I might be leaving a lot of options off the table that would actually increase my chances of survival. Just because I have a gun doesn’t mean that’s the first answer to every problem I might run into. Even if it’s a deadly threat problem, I might have to be flexible and wait for my moment before I get to practice my one-second drawstroke or there might be a better resolution all together like avoidance, compliance, running away, verbal de-escalation, or non-lethal force. Those options won’t always be available, but sometimes the gun option won’t be either. I don’t say any of this to be critical of the people who volunteered for the scenario. All of this analysis is with the benefit of hindsight and that’s why it’s called the Experiential Learning Lab. As far as I could tell, all the participants had a really open mind and I want to acknowledge that it takes a lot of guts to volunteer to do one of these things in front of a bunch of spectators. If you ever have the chance to take a class with Craig or do any other kind of scenario-based training with a qualified instructor, I highly recommend jumping on that. I guarantee you will learn something useful. Is the Range Really Enough?